– Be aware of sharp reef along the coastline. -Be aware of strong undertow. – This is the second largest bay on the east side. – Kite conditions are most favorable when there is a large ocean swell. – This is the largest bay on the east side. – From October through April it is common for strong cold fronts to move in from the North (aka Nortes). This is the place to kite when these systems arrive. – This is a top spot for kite foiling due to the depth of the area. – This location is often referred to as “The Lagoon”. – If you plan to drive here, be ready for a rough ride on a dirt road. Keep your speed low to protect your vehicle and Cozumel’s beloved fauna. – The only way to get here is by boat. 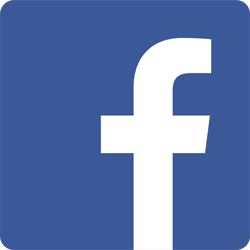 – This is a great location for free and wake style kiters. – This is one of our preferred spots for Kiteboarding Instruction. – This is an incredible place to experience our boat supported downwinder through unforgettable turquoise waters. We will more than likely be the only kiteboarders on the water. Feel free to contact us for any of your kiteboarding inquiries! While paddleboarding through the mangroves of Cozumel we found ourselves floating above a colorful carpet of what looked like underwater flowers. Upon further research we discovered this vibrant carpet is made up of one of Cozumel’s hidden treasures, the Upside-Down Jellyfish. Scientific name Cassiopeia. Also referred to as Xamachana or Upside-Down Mangrove Jellyfish. These jellyfish are rarely found alone. They use the concave depression of their bells to create suction to the mangrove floor. This helps them stay among their own kind in large communities. Each upside-down jellyfish has the potential to grow up to the size of a pie plate. Their average make up is 95% water, 3% salt and 2% protein. 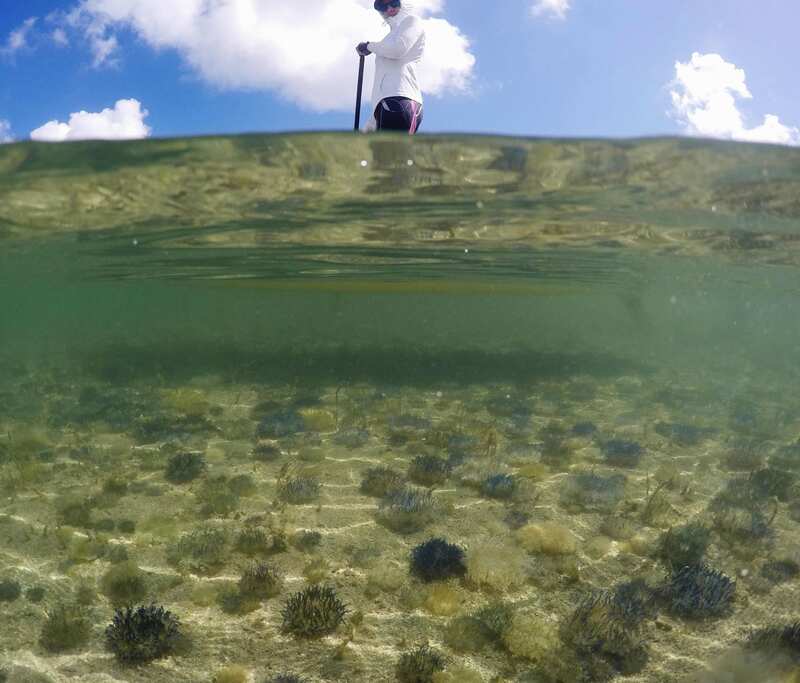 According to the documentary “Caribe Salvaje” mangroves are a nursery for many forms of sea life, including the upside-down jellyfish. Apart from offering safety, the mangroves are full of food. They are awash in nutrients including particles brought in from sea currents. The upside-down jellyfish cover the mangrove floor catching drifting plankton. In addition, these jellyfish grow their own food inside of their tentacles. 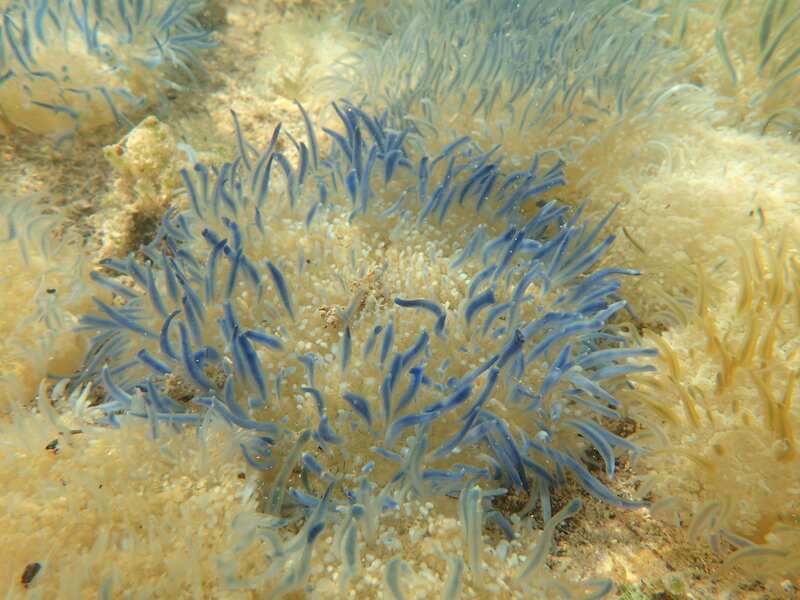 The variety of colors found in their tentacles are algae, microscopic plants. By lying upside-down, the jellyfish expose their tentacles to the sun, allowing the algae to photosynthesize. Food produced by the algae make up a large part of the Cassiopeia’s diet. In return, the hitchhiking algae is provided protection by the stinging cells in the tentacles of the jellyfish. It is a perfect symbiotic relationship. The upside-down jellyfish are a favorite meal for all species of sea turtles, especially the endangered leatherback. Other predators include jelly-eating fish, such as tuna and sunfish. To experience these beautiful creatures in person check our SUP Mangrove Tour. Watch videos of upside-down jellyfish on our YouTube Channel. Watch your step. 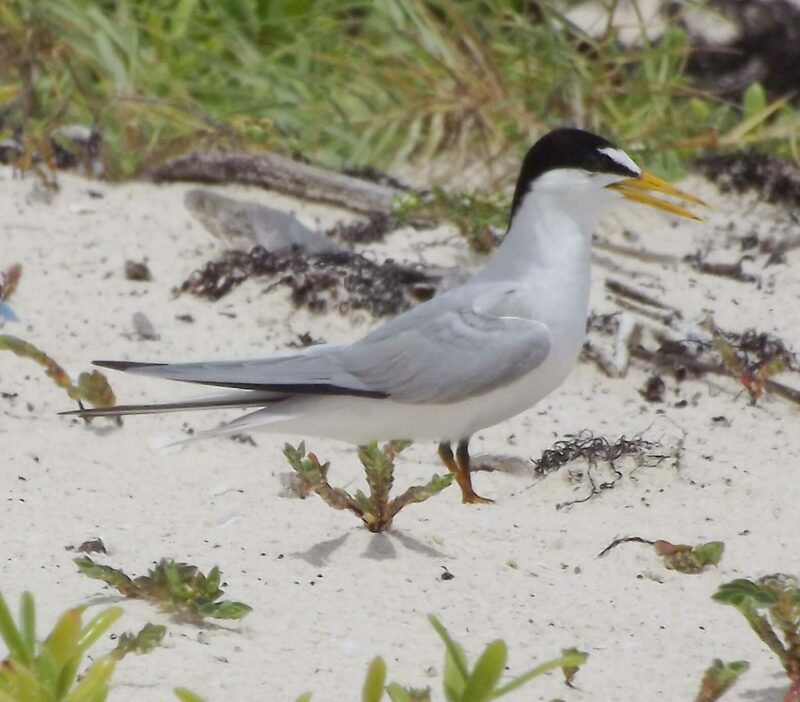 It’s tern time in Cozumel! 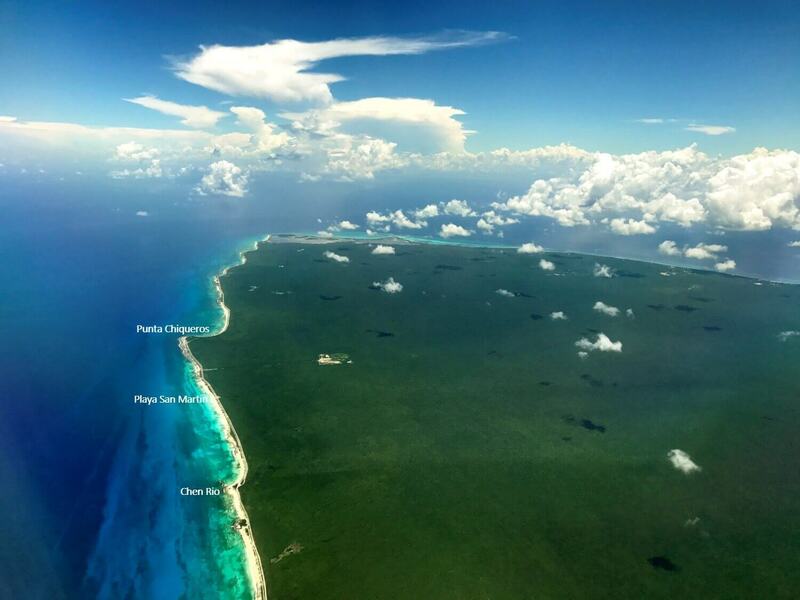 In Cozumel, we are passionate about watersports. We are also nature lovers. This means we are extremely conscious of our surrounding environment. Whether we are kiteboarding or paddle boarding, we are especially careful of where we step. Why? If you look closely, you may spot least tern eggs. They are all over Cozumel’s coastline right now and are very well camouflaged. 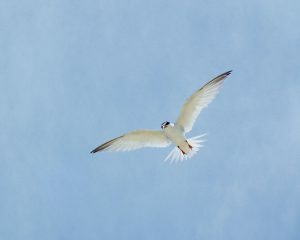 There are a variety of tern species in Cozumel. Terns are often referred to by locals as Golondrinas Marinas or Charranes. The least tern’s scientific name is Sternula antillarum. They are the smallest in the tern family. Least terns reproduce from April to July in Cozumel. They are romantics. To begin courtship the male presents a female with the gift of a small fish. 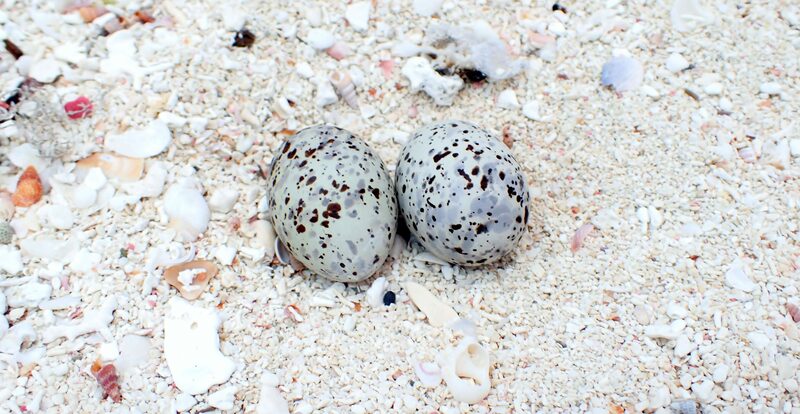 Terns can lay 1 to 3 eggs at a time. We usually come across eggs in pairs. Their chosen breeding areas are wide flat beaches made up of coarse sand or shell. This leaves them highly exposed to larger predators. The adult least terns do the best they can to protect their young by nesting in colonies. We have unexpectedly witnessed some of their protective behaviors. For example, we have unknowingly approached a nesting area and heard warning calls from Terns on the ground signaling to back off. We abide by these warnings and give them as much space as possible. Occasionally an unintentional discovery of eggs has been interpreted by the least terns as a “more serious threat”. As a result, we have been dive bombed by multiple birds sounding shrill emergency alarms. Our response has been and will continue to be, to evacuate the area as quickly as possible. Always watching every step we take in order not to harm any eggs. We make sure our customers are aware of this phenomenon. This helps them take in this natural spectacle without disturbing the life cycle of these beautiful birds. We most commonly spot terns and their young in remote areas of the island during our Mangrove SUP Tour , our Caribbean SUP Tour or during Kiteboarding Instruction. 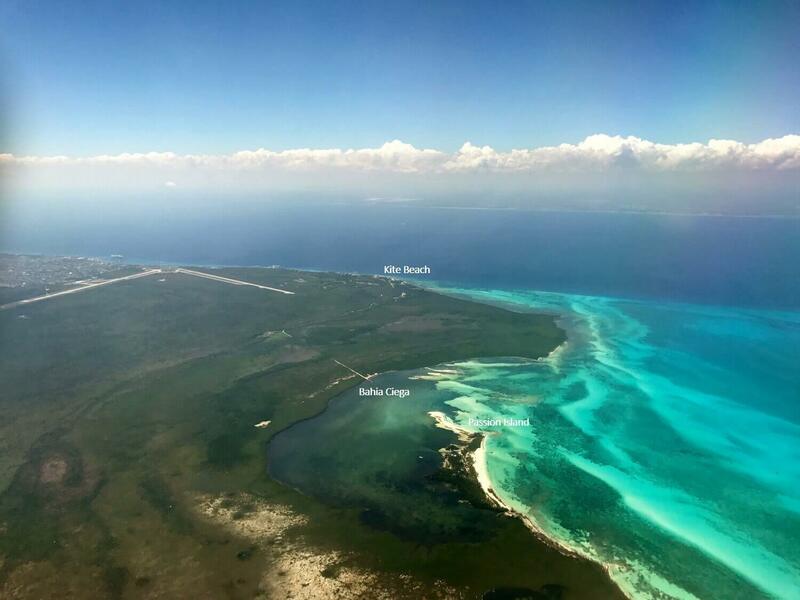 Thanks to the following sources for confirming and expanding on the information we have locally experienced: National Audubon Society , Sal a Pajarear Yucatan by Barbara MacKinnon, Common Birds of the Yucatan Peninsula by Eduardo Llamosa Neuman. Is it Safe to Eat Barracuda? 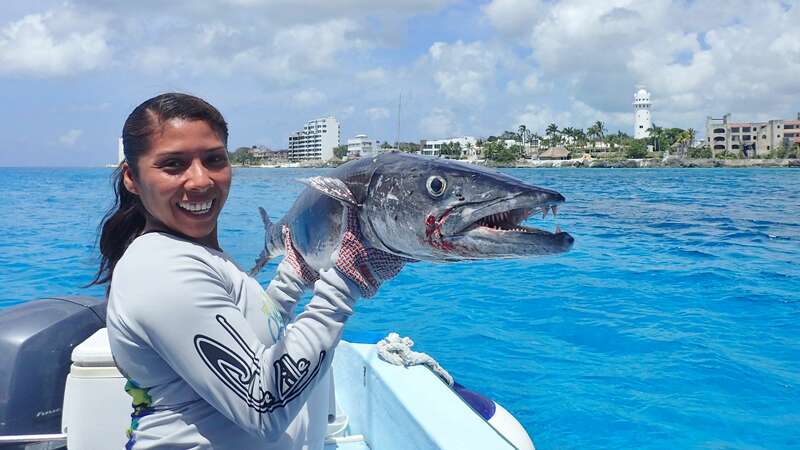 This snaggletoothed fish is a common catch year round in Cozumel but how do you know if it is OK to eat? Feed a little barracuda to the cat. If it your furry friend is still purring a few hours later you are good to go. This is not recommended. Simply sharing old island tales. Lesson Learned: You may save your stomach but could suffer the heartbreak of losing a beloved pet. Place the barracuda’s raw liver in your mouth. If your mouth has a reaction such as tingling or numbness, the fish should not be consumed. This task is typically performed by the crew member who cleans the catch. All is well if the taste tester has not imbibed. Helpful Hint: Don’t trust a drunken fisherman. If the tester has tossed a few too many back, their judgement along with their taste buds maybe impaired. If the name of the month you catch a barracuda in does not contain the letter “R”, it is not safe to eat. This means do not eat barracuda during the following months: May, June, July or August. In other words, warm weather months. Fun Fact: This works in Spanish too – Mayo, Junio, Julio o Agosto. Why would anyone question eating barracuda when many people claim the white flaky meat of this fish is delicious? Some algae breed in tropical waters under specific conditions and produce a naturally occurring toxin. Small fish may feed on this toxic algae. Predatory barracudas can devour these fish, allowing the toxin to enter their systems and build up over time. Depending on multiple factors such as catch location, seasonal temperatures, the age and size of the barracuda, eating this fish could result in Ciguatera fish poisoning (food poisoning).